When you sew a corset at the first time you must to study many new things, because sewing a corset is more involved than just sewing. In precedent post Katrinshine: Return of the Corset! I promised to open some secrets for sewn a corset. In this post I’ll tell how to cut and finishing spiral steel bones. Spiral bones offer the most flexibility of all bones, being able to move both forwards and backwards and side to side. They're the best choice for a corset or bodice that requires boning. If you have spiral bones by the meter/yard you need to cut it and applying “U” shaped ends. 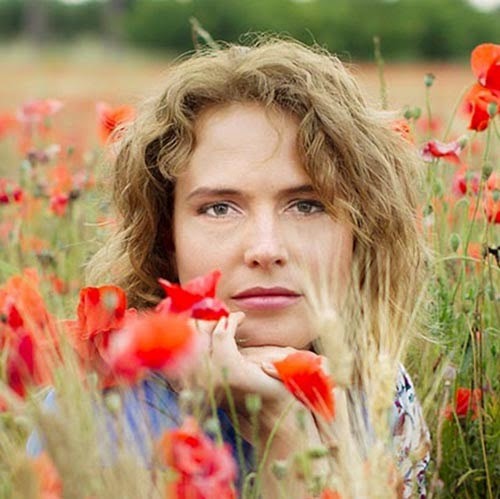 Even a single wearing can cause holes to develop in the fabric if steel bones aren’t tipped. “Tips” can be called “bone tips”, “bone caps” or “U” tips. “U” tips were designed for spiral bones and they’re the best way to finish the ends. The best “U” tips are made of aluminium, making them easy to apply as aluminium is fairly soft. Attaching the tips is a bit complicated and takes some practise. That’s why I decided to tell my own experience based on book “The basics of corset building” by Linda Sparks. You need to have two pairs of needle-nose pliers for cut spiral steel bones. Than you need to have a bolt cutter for cutting the steel. 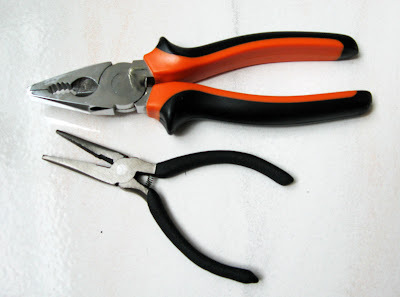 In place of two pairs of needle-nose pliers and bolt cutter I use one pair of needle-nose pliers and one pair of solid pliers, because it’s like needle-nose pliers and bolt cutter in one tool! And to buy it requests less money. For first you must measure your corset to determinate the quantity of each length of bone you’ll need. If you have many bones to cut will be ready to do intervals if you’ll want to save your hands whenever possible. 1. Mark the cutting line. Bones should be about ½” (13mm) shorter than the finished casing. 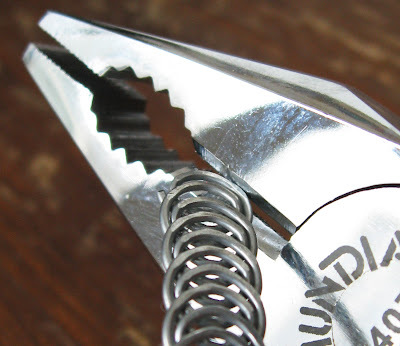 Using pliers, align the cutting mark on the outside wire of the spiral bone with the tip of the plier’s jaws. Snip the outer wire only. 2. Flip the bone over and do the same on the other side. The bone should come apart in two pieces. Don’t try to cut through the whole bone as it results in messy cut and can be more difficult to tip. 3. The cut wires shouldn’t be protruding, so clip the raw end again to shorter. 4. To applying “U” tips place needle-nose pliers in your right hand. Place one tip, flat, between the jaws. 5. Pick up a bone, slide the cut end into the tip, squeeze the pliers a bit to grip the tip and the bone. 6. Pick up the second pliers in your left hand. Apply the jaws to either side of the tip. Apply pressure to both sets simultaneously. If you apply pressure in only one direction the tip pops out in the opposite direction. It is very important that the tips fit snugly and cannot catch on the fabric when being slid in and out of casings, this can cause snag marks or even worse; they can come off after they are in the casing. This is the most effective and quickest way to cut and finished spiral steel bones! Only some practise! EURO WEEK 2010 on Etsy!! !